Software is useful to design professional looking ID cards with use of variety of ID card image designing objects. Card Designer Program provides facility to create photo added and barcode added ID cards. 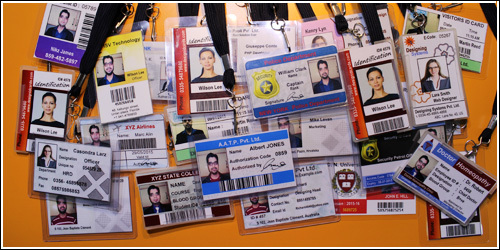 Card Creator Software designs and prints ID cards, badges including student ID card, employee ID card, faculty ID cards etc. Software allows you to design ID cards using data from excel file. Provides option to print created ID cards using flexible print settings feature. Send designed id cards to single or multiple email IDs via email settings. Save designed ID cards in different file formats such as JPEG, BMP, TIFF, GIF, PNG, and PDF. Software provides facility to save your designed ID card log (in .idd file format) for future reference. Design multiple ID cards using random, sequential and constant value series generating feature. 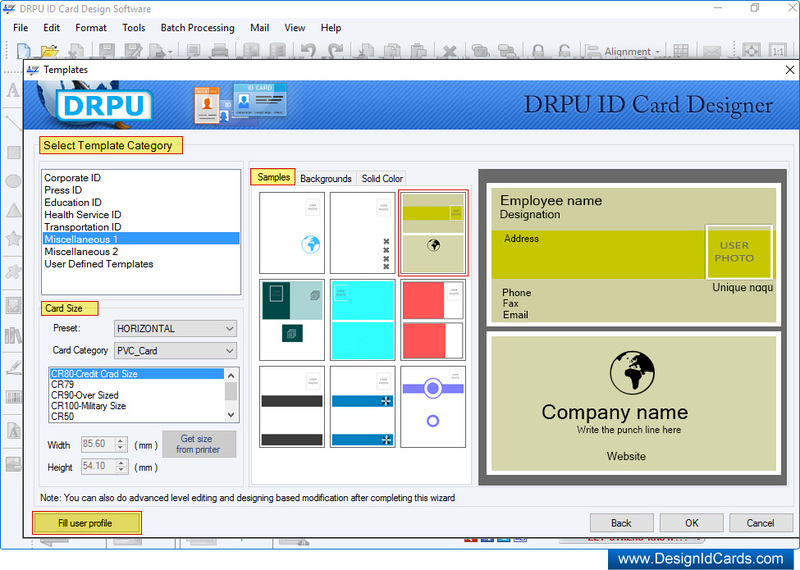 To create ID cards, select template category, card size and choose any one sample from predefined samples of ID cards. ➩ How to Design ID Cards? Option to include barcode technology while designing ID cards. Use various designing tools to design ID cards such as Text, Line, Rectangle, Ellipse, Triangle, Star, Symbols, Browse Image, Signature, and Watermark. Design ID card with One or Two sided ID card (Front and Back side) as per your need. Option to use WordArt text-styling feature to the ID card. Option to start new ID card format or edit existing ID card format. Option to create ID card using wizard or with blank format. Design and create ID card in different shapes including: Rectangle, Rounded Rectangle, and Ellipse. Specify the color and background settings of ID card including Solid Color, Gradient, Image and Style settings. Select image from library during ID card designing process.